Why it’s okay to be “scattered” and not have it all together. Sometimes I feel scattered. It feels like being “all over the place.” It can also be a realization that you somehow have gotten yourself involved in many endeavors, and you are trying to figure out whether these endeavors are related and thus are to be assimilated together or whether they are distinct, separate, clear identities. Whether these endeavors are tangible or imagined, they are real. Even as I write this, I find myself being dispersed in many different directions trying to figure out where this is all going and how it’s going to get there..
To scatter also means to spread or distribute randomly. You must scatter seeds in order for a plant to grow. If a group of seeds are too concentrated and condensed into one location, there can be overcrowding and no room for the plant to flourish. Sprouting and blooming can only occur when seeds are spaced out and scattered properly. Mark 4:26 (NLT) states, “The Kingdom of God is like a farmer who scatters seed on the ground.” Maybe we should all keep scattering. So now we have two separate entities: the person who has been scattered (the seed on the ground) and the person doing the scattering (the farmer). However, I’d like to propose a third scenario that goes back to the original topic of “feeling scattered.” The person who “feels scattered” sometimes (or most times) has neither landed on the ground and is no longer living on the farmer’s hand. The scattered person is living and floating in the air. He or she is constantly in motion and is dependent on the wind and the thrust of the farmer’s throw. In different stages of our lives or in a specific project we are involved in, it seems as if we alternate among being supported on the farmer’s hand, floating (or sometimes rapidly moving) in the air, and landing and hopefully creating roots in the ground. Its actually quite exciting! Because during those moments that you feel scattered and not “all together” means that you’ve already been thrown out there and you are bound to land somewhere. So once you land, its important to be wise and resourceful with how you use the resources around you, so you are able to crack open and bloom. No one wants to be the bad seed (well maybe some people do). However, if you don’t make use of the nutrients, the soil and all the wonderful life-giving properties around you, then your seed will rot. So what happens when scattering goes wrong? You can either go so far off the divide (away from the trajectory) that you become isolated, alone, and unable to come back and be together with your original group you were originally traveling the path with. Or you can go the complete opposite route and lose your sense and concept of space. One may feel they must constantly fill their space physically (with condensed items which can lead to hoarding and un-necesary accumulation), emotionally (looking towards others to fill an empty void or filling up their time with endless projects, to-do lists, and activities in order to feel of value) and finally spiritually (having an inability to humble themselves and instead gather and store up self-worth and pride). So all in all, its okay to be scattered and not have it “all together.” Who really has it all together anyway? I’ll have to write a separate article just on that someday. As long as you can identify where you are at on your Scatter-journey (are you staying put on the hand, flying in the air, or germinating in the ground? ), then it will be easier to accept where you’re currently at and where you’re going. 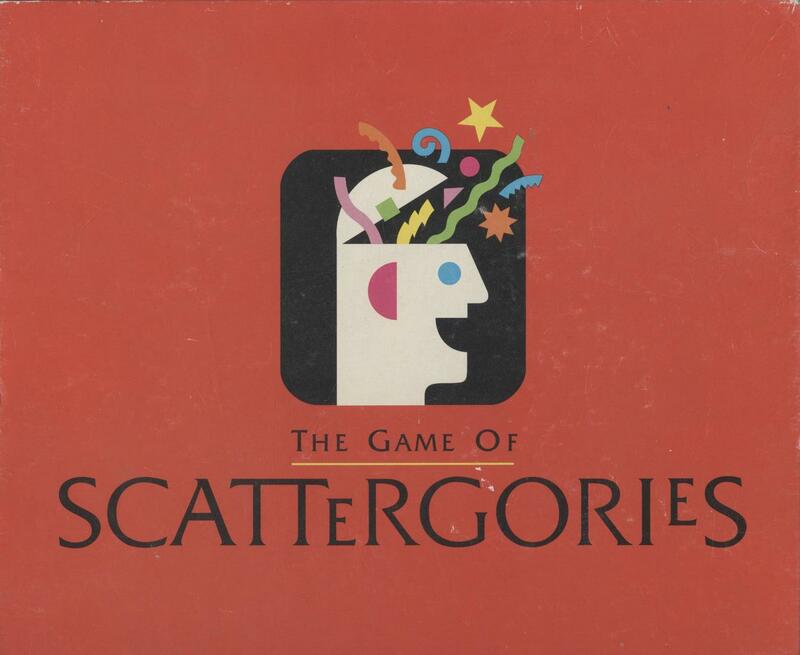 Scattergories image borrowed from Google images. This blog is in no way affiliated with the makers of Scattergories. In fact, I have never even played it before.